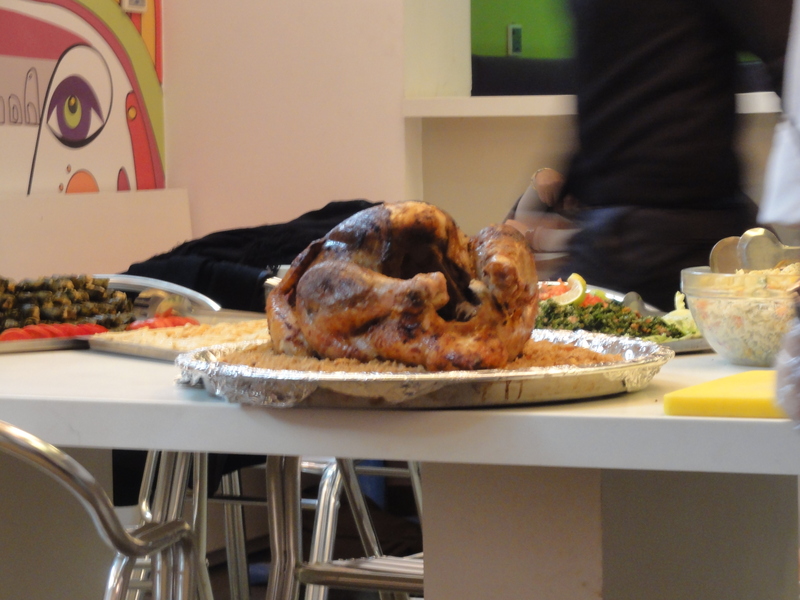 My friend Ryan invited me to a Thanksgiving that one of his coworkers was hosting, and given her husband works for the embassy, we knew there would be good food there. I attempted to make a potato casserole, but had no time at all; while many of my friends were off work that day, I was not, and arrived home with little time to spare before the gathering. This was partly due to the fact that our director prepared a little Thanksgiving for us after school. While I’ve never considered hummus a staple in Thanksgiving feasts, I thought the overall gesture was nice and thoughtful. The Thanksgiving dinner that night at Ryan’s coworker’s house was very pleasant and nice. For me, Thanksgiving is mainly about family, so it wasn’t the same, but the food was incredible, and the company was excellent. Everyone was warm and welcoming, and I got to gorge myself on turkey, potatoes, and the works, including a sweet potato casserole that was to die for. I also got to catch up with friends in an atmosphere that required a nice shirt and good grooming and wasn’t rugby. It’s nice to just hang out and talk instead of sweating all over each other and shouting on a rugby pitch. I can’t convey my level of disappointment at this. 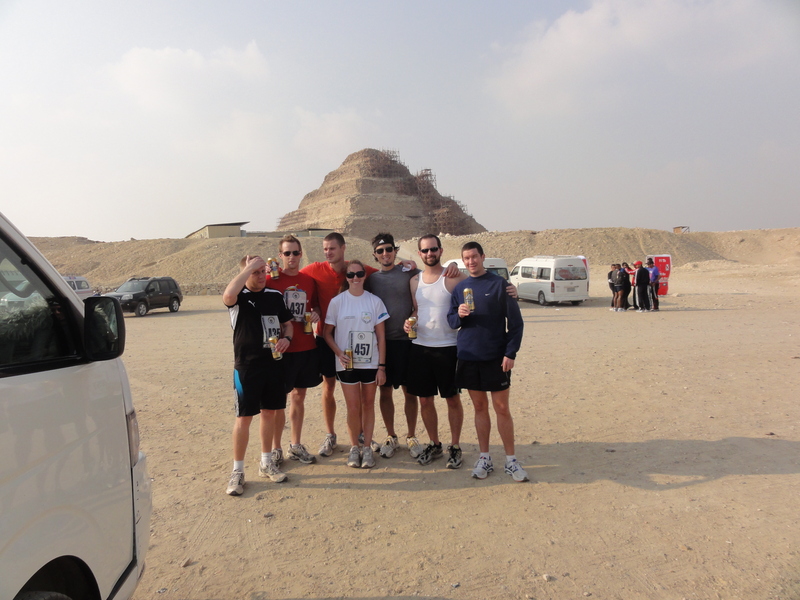 This was a run I’d been looking forward to since, quite literally, I got to Egypt. Judson had told me about it when I first met him, and now it was looking grim. Luckily for me, Judson felt bad enough to ask his team if I could run with them, and they said yes. And I’m very grateful they did, because what followed was one of the most exhilarating, exciting days I’ve had in a long time. We had drivers pick us up in Maadi around 2:30am, and they dropped us at a hotel where poorly organized staff doled out or team rosters and numbers. 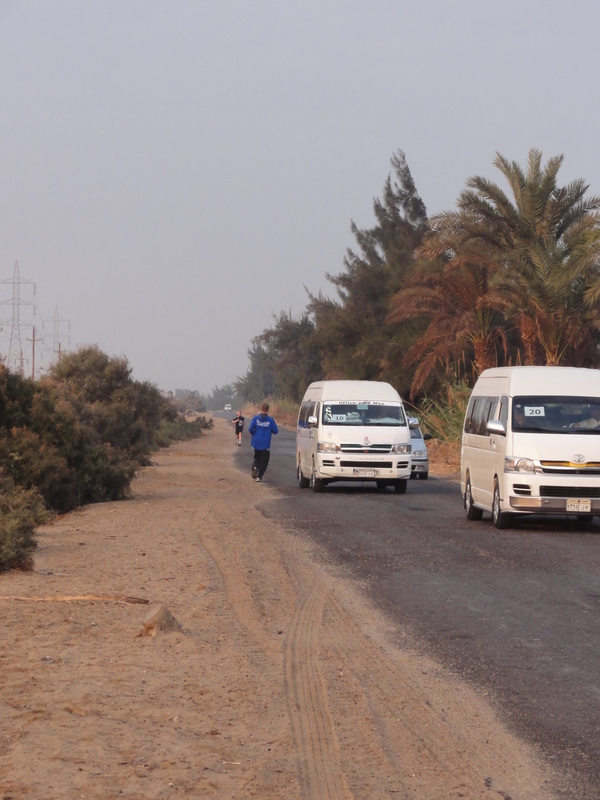 Then, we all packed into a van and headed out to Fayoum. Our team was comprised of Ryan, Judson, Ryan’s friend Shaun, Ian, Dan, and Robin. Official rules dictate that teams cap at a five person max (which doesn’t stand, considering my team had eight), so I ended up running my legs with a partner. This worked out just fine for me. The race began at 6 at some makeshift starting line. Judson and Dan, who did the race last year, noted that the turnout was really low, probably due to the unrest. 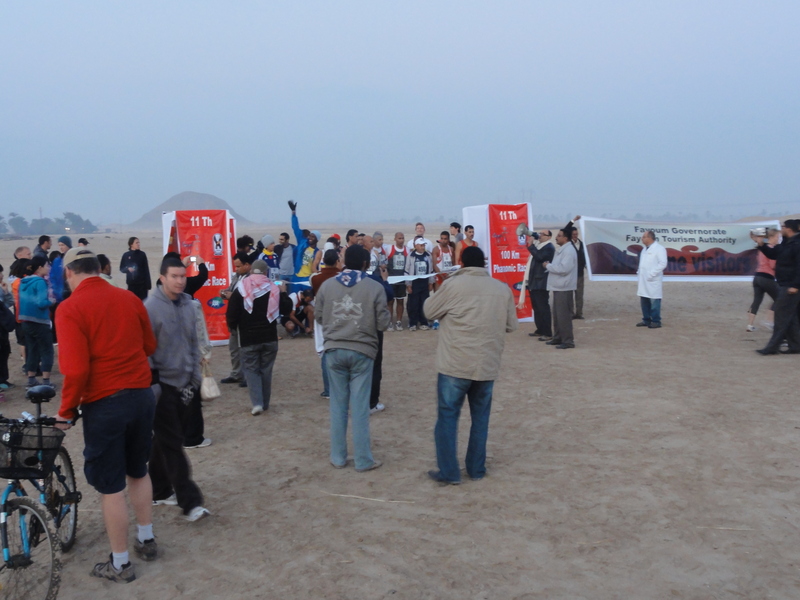 Like most things in Egypt, the race was poorly organized. 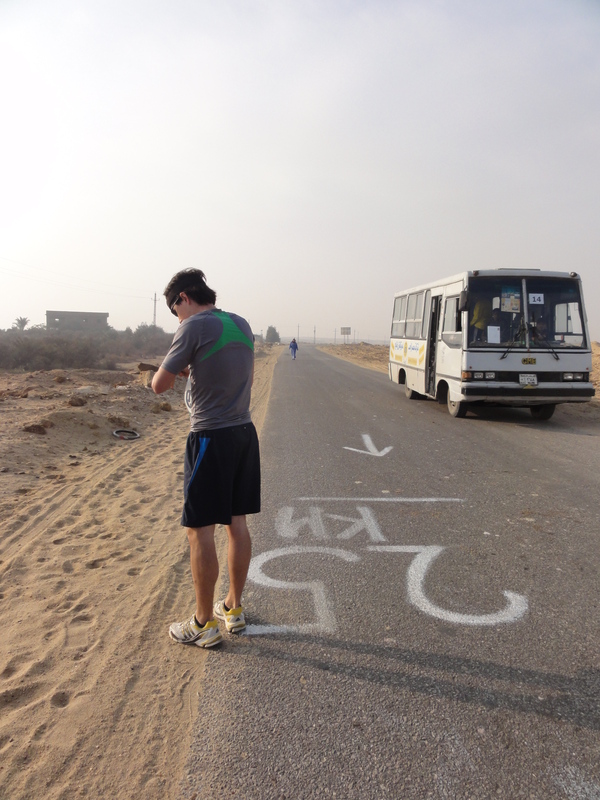 The route was marked every 5km with a number chalked on the roadside. You’re basically running with no sense of how far you’ve gone, and your teammates in the van need to keep alert to spot the marker so they can pull over and swap runners. We passed the kilometer markings at least twice during the race and had to turn back and retrieve whoever was stuck running extra distance. I did my first 5k with Ian in 24:18, one of my fastest times to date probably, and impressive considering how out of shape I am. Sprinting the last few meters was difficult, and that’s usually my favorite part. Luckily, the rest of the team was pretty fast. Dan was in solid shape, and Robin, who ran 96 kilometers last year on his own and was pulled out of the race due to time before he could finish, was also doing well. Ryan, of course, was effortlessly fast, and amassed a fan club comprised of village children and race veterans who had observed him in awe last year. He would take off and, minutes later, vanish completely. My original goal had been to do 15k, but I didn’t think I’d be able to at this point. As we tagged the next runner, I considered myself down for the count. But then, when we were on 85km and the road sloped up to the pyramid, I got a burst of energy and joined Judson for his last 5k. And as it turned out this time, we got a long 5k, which turned out to be 6.5km. Toward the end of it, I was feeling pretty wrecked, but once he said we were past 5k, we slowed our pace a bit and I eventually felt like I could keep going. It’s good when you’ve got your mind going and you keep your legs moving. Still, every time we looked up and saw the empty stretch of road ahead, I felt a twinge of panic. Our van and teammates were nowhere in sight. 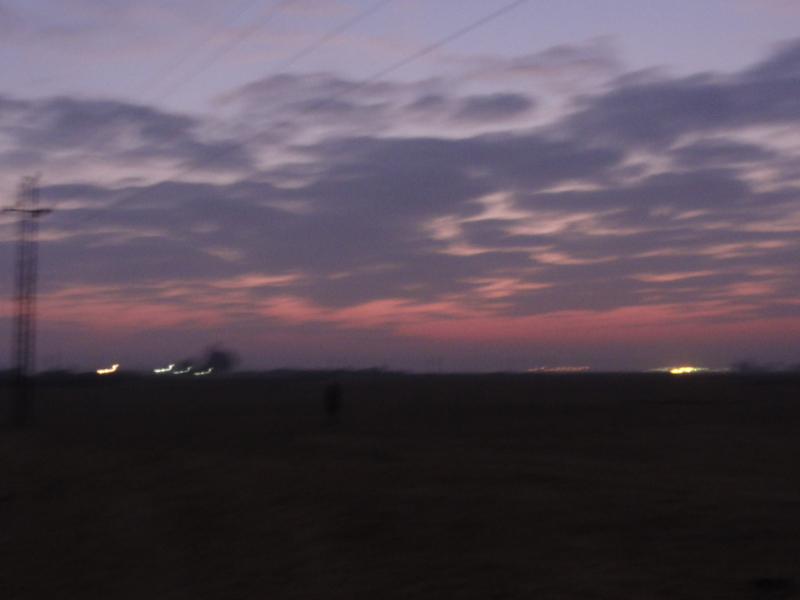 Judson asked a man on the roadside if we were going toward Sakara and he said yes, so there was that. When we finally spotted the team, I felt ecstatic. There is nothing like the feeling of seeing your team and knowing you’re almost done. That’s the kind of feeling that fuels a sprint. We came in second, and finished the race in a little over seven hours. The entire day was a blast, from running through the villages where kids run alongside you to running past canals where people wash their clothes and dishes to running down solitary, straight roads that boast nothing but faulty electrical wires and miles of desert on either side. For the entire race, we were in 3rd place. The Alexandria running team was first, but they weren’t actually entered in the race; they just run it to practice. Then there was an Egyptian team in 2nd, but they may or may not have been cheating. 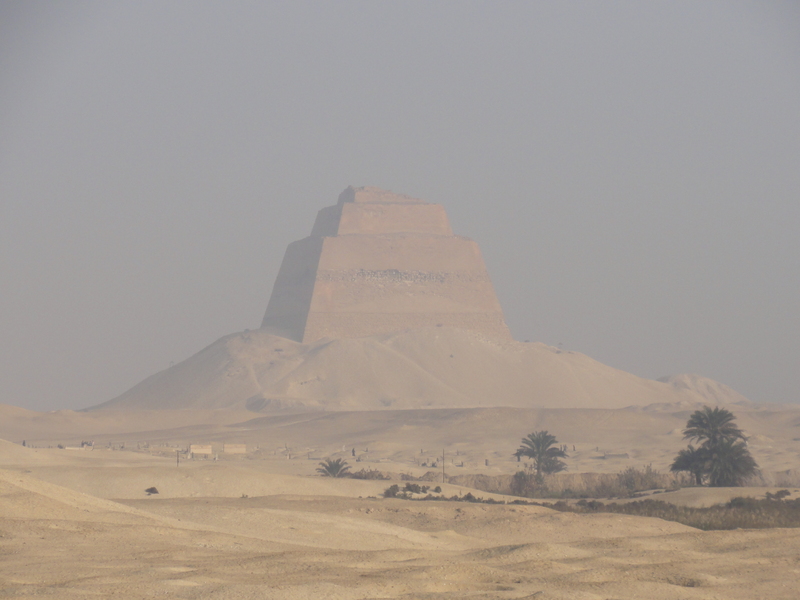 *After my team dropped out, I did some research on Fayoum and the news in the area to decide whether or not it was safe for me to run there. I didn’t find any recent news that appeared unsettling or perilous.